Within the framework of the consultation on the construction of several housing projects, KDA chose Tetra Construction, together with the client, to design around fifteen upscale apartments, far from standardised concepts. Tetra Construction stands for high quality and recognised services, whose ongoing worksite visits have enabled speedy decision-making. 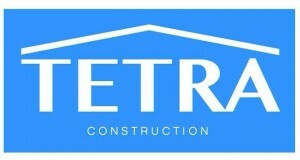 Tetra Construction works in French departments 13, 83 and 84, with dedicated and specialised teams for each building trade. Kube Design Architecture, a multidisciplinary architecture firm, is specialised in upscale projects of all types; this project of around fifteen top-end apartments, intended for executives and elite sportsmen and women, is developed in a landscaped, preserved and, on occasion, reconstructed environment, harmonised within the specific ecosystem of the area and taking into account the sensory perceptions of nature that the future owners will experience of this unique and secure apartment building.